How Far is Legacy Calista? 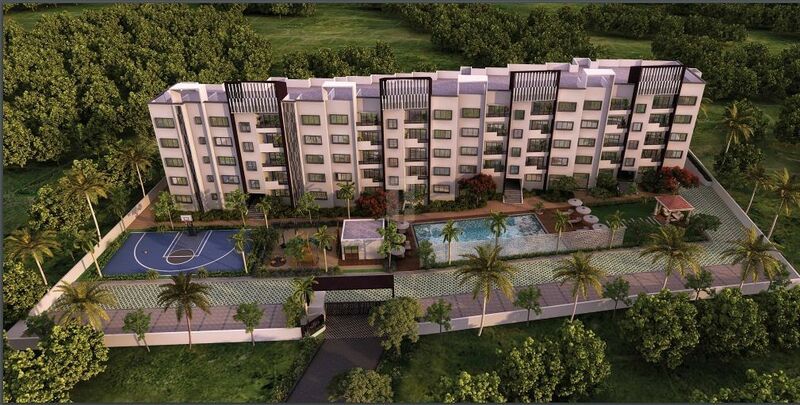 Legacy Calista is an ultimate reflection of the urban chic lifestyle located in Yelahanka New Town, Bangalore. The project hosts in its lap exclusively designed Residential Apartments, each being an epitome of elegance and simplicity. Impress your guests with the luxurious decor & exclusivity of Calista, right when they step in. Beat the heat with a leisurely swim, or laze around with your kids in the kids pool. Break a sweat in a gym that’s always open to you. The closest party destination is always in the building, and it’s connected to an outdoor pool and beautifully landscaped lawns! Let kids be kids, we say. We’ve got them their own space, so they’re never bored! Designed to facilitate the sportiness that kids always yearn for, the play court ensures that residents stay active & fit. Rustic tile flooring across all corridors. Natural stone steps with modern railings. Plush interiors with generator backup to ensure 24/7 functionality. With car wash and electric point provision. Plastic emulsion for walls and ceilings. Stain-fee vitrified tiles with a rich glossy finish. Solid wooden frame with flush shutters and architraves. Upvc/aluminium windows with mosquito mesh. Equipped with modern sanitary-ware and CP fittings. Anti-skid tiles with 4’ cladding in dry area and 7’ cladding in shower area. To keeps the bathroom clean and dry, every time. 24-hour metered, piped LPG supply direct to kitchen. For pure, soft water at all points. Provision for electric chimney, hob and water purifier. Ample points with modular switches. Separate wiring available for DTH and telephone points. 24-hour, 100% backup for all apartments. At all entry points to the building. 24-hr monitoring of all entrances. Screening of visitors at reception from the comfort of your home. Out-of-sight space for domestic needs, with washing machine and dishwasher points. The basement is equipped with staff restrooms, for the convenience of all building staff & security personnel. Dry & wet waste gets sorted out here, before loading onto waste dispatch vehicles.